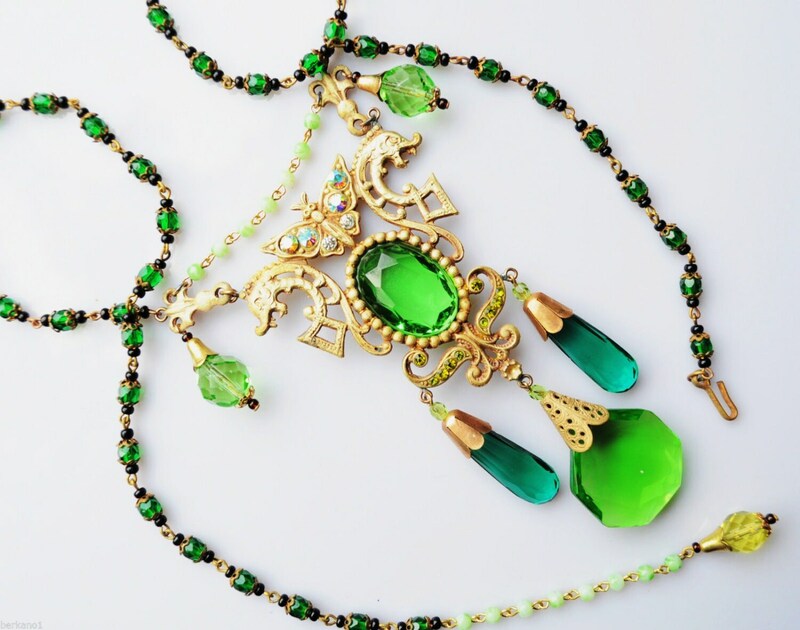 This beautiful vintage necklace is made of Multicolored Czech greem glass stones, pressed of Czech glass of raw glass rods in molding plies. Fire-polished, edges matted. The glass-charms are rare for their unique combination of vibrant colors and shapes. Northern Bohemia - Jablonec Nad Nisou - has always been a region known for its glass and jewelry. Necklace has been made between cca 1920 - 1930. Completed with faceted & fire-polished glass beads. Metal parts are made of brass or alloy. Metal parts show some patina, finely polishe. Glass may be slightly frayed. 78 cms long. 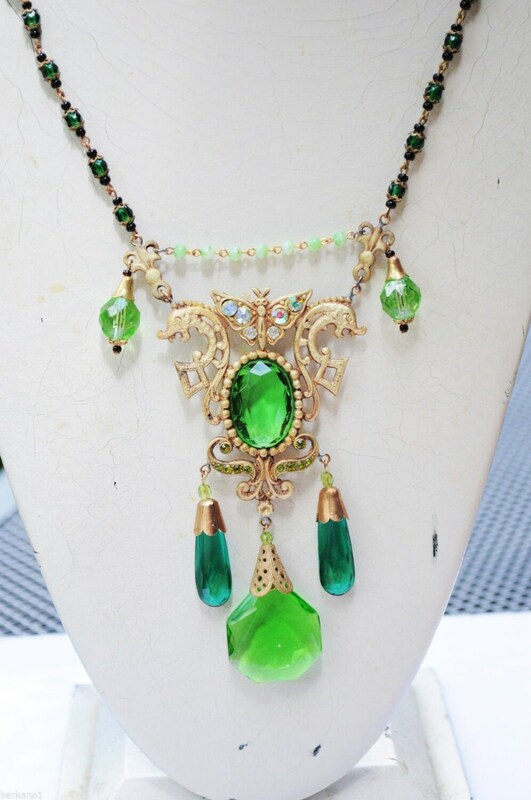 Features many green faceted glass stones and rhinestones. 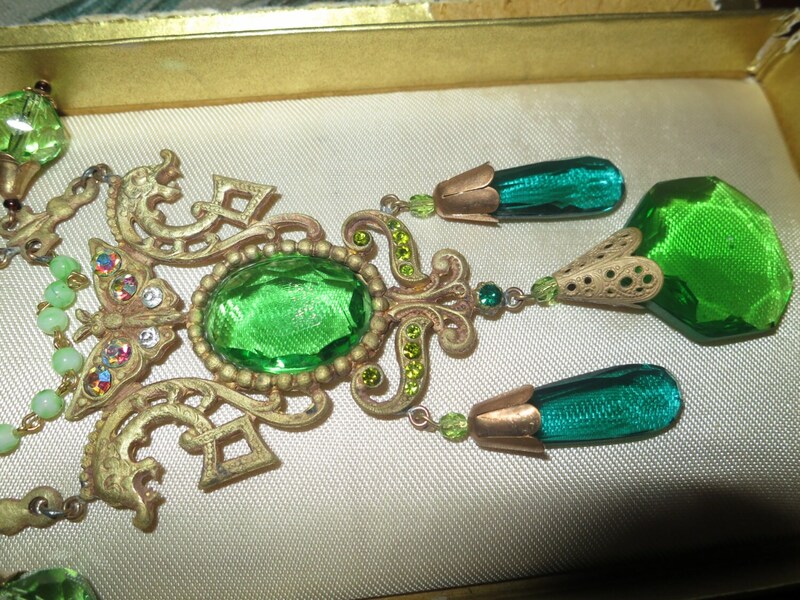 The central pendant part hangs down 5 inches.